On the day we reviewed the Latitude 3330, the “starting price” online was $801.14, but the “Dell price” was $560.80. On the day you look, those numbers could be different. What won’t change is the fact that this 13.3-inch notebook with Windows 7 Pro is aimed at buyers working with very tight budgets. Just remember that you get what you pay for. 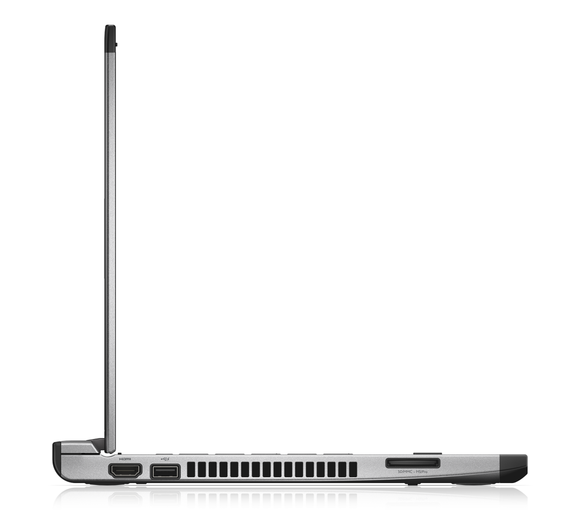 The Latitude 3330's 13.3-inch display is not a touchscreen. Then again, this notebook ships with Windows 7 Pro, not Windows 8. In this case, you’re getting a sub-4-pound laptop with a slim profile but skimpy specs that include an Intel Core i3-2375M CPU (part of the Sandy Bridge family introduced back in early 2011), equally dated HD3000 integrated graphics that share just 4GB of system memory, and an incommodious 320GB hard drive that spins its platters at 5400 rpm. Customization options can make the Latitude 3330 less expensive—and even less powerful. In real-world terms, the across-the-board low scores it produced in our benchmark translate to longer wait times for basic computing operations, such as installing apps, editing digital photos, and decompressing zipped files. The lag may not be too bothersome if you merely need to write letters and term papers, run simple spreadsheets, check email, and catch up on news in a browser. Nevertheless, the Latitude 3330’s Notebook WorldBench 8.1 score of 68 marks it as 32 percent slower than our reference laptop, the Asus VivoBook S550CA. We’ve seen the VivoBook selling online for $650, but that $90 bump buys a lot, including an Intel Core i5 CPU, a 15.6-inch touchscreen, 6GB of memory, and a 500GB hard drive with an SSD cache. In my tests, the Latitude 3330 couldn’t even stream YouTube music videos over a 2.4GHz wireless network without stuttering or pixelating (it does not support 5GHz Wi-Fi). Video captures with the integrated 720p webcam looked washed out, and video received on Skype calls was blocky—and you can forget even trying any serious gaming. 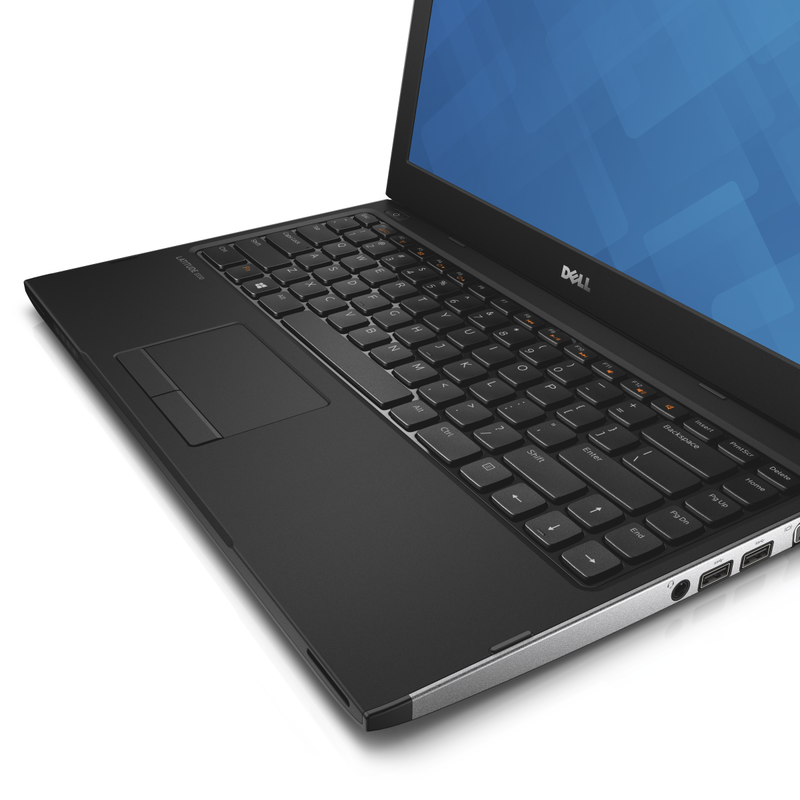 Dell pitches this machine to small and medium-size businesses, but it's outfitted with HDMI, not DisplayPort. It also has a legacy VGA output, which is handy for connecting to older monitors and video projectors. You do get a fairly standard port array: two USB 3.0, one USB 2.0 with PowerShare support (for charging devices even when the laptop is powered down), gigabit ethernet, HDMI- and VGA-out, a headphone/microphone jack, and an SD/MMC card reader. Our review unit came with a six-cell battery that lasted a respectable 5 hours, 13 minutes. The Latitude 3330 looks handsome and sturdy enough, with a pewter-colored brushed-metal exterior trimmed with black plastic that repeats inside. The island Chiclet-style keyboard keys are a bit mushy and flat, but well spaced and adequate for touch typing. The multitouch touchpad is reasonably responsive, and the 1366-by-768-pixel display looks bright and crisp. Stereo speakers embedded in the front edge produce surprisingly robust audio. The Chiclet-style keys are mushy and flat, but well spaced. Dell offers multiple customization options that can make the Latitude 3330 less expensive—and even less powerful. This notebook will fulfill a student’s or business traveler’s most basic needs, but buyers should be prepared to accept subpar performance for even routine Web multimedia. 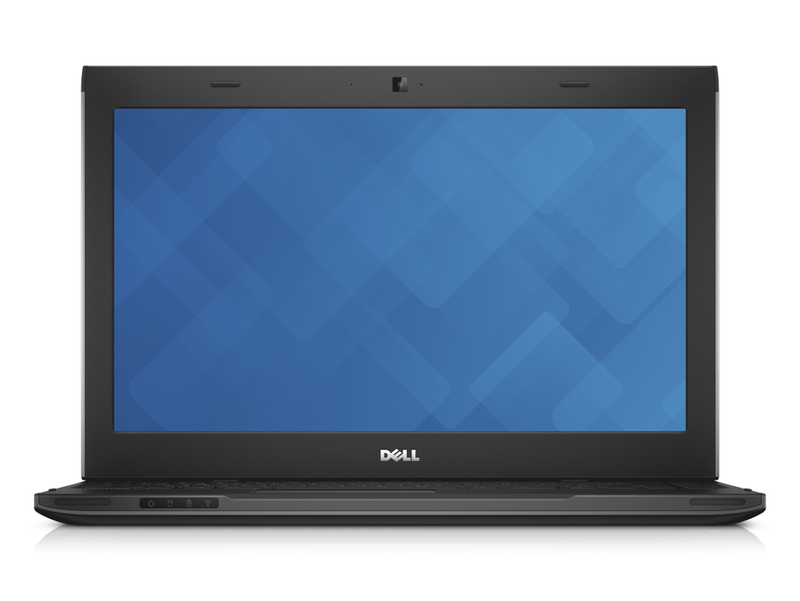 Sleek and lightweight, the budget-priced Dell Latitude 3330 makes a good first impression. But it has difficulty running even the most routine multimedia—much less games—because of its bare-bones infrastructure.